Here I am rocking my classic Nomi Network basic t-shirt. I live in this shirt! I first heard of Nomi Network last December when I was attending an anti-trafficking Christmas party. There was a raffle and my friend won a gift bag from Nomi Network and shared some of the goodies with me. Since then I’ve been to a few other events put on by Nomi Network and have always been really impressed with the programs they have put on and the products their network produces. 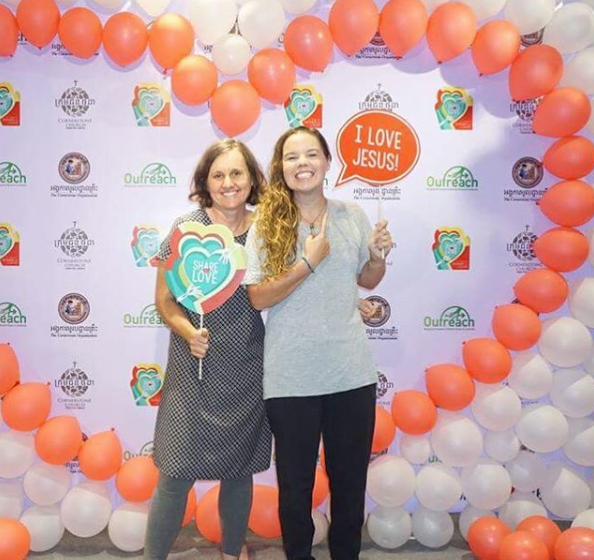 Nomi Network Cambodia exists to train, empower, equip, and connect leaders to organizations that work with survivors and vulnerable communities where there are high instances of human trafficking. Nomi Network Fashion Incubator is an urban-based program which focuses on working with existing social service providers and enterprises to strengthen reintegration for survivors, business growth, job creation, and market competitiveness. Nomi International Fashion Training (NIFT) – NIFT generates the most extensive and regular activities. Each year NIFT offers 12 different course modules, over 140 hours of training at their Incubator Center in Phnom Penh. The modules cover all aspects of fashion business including Market Access, Technical, Design, Logistic, Marketing, Finance/ Planning, and Personal Development. To maintain the highest training quality, NIFT has in-house experienced international trainers as well as guest trainers from the fashion and manufacturing industry. NIFT also offers selected course modules in Siem Reap and plans to expand to more regions across Cambodia. Network Event – Three times a year, they host events to bring like-minded people together to share ideas, learn from each other and celebrate ones’ successes. For example, In 2016, they hosted Nomi Network Fashion Incubator’s Launch Party in February and a Christmas Celebration in December where they created an intimate, inviting, and creative environment for participants to network, learn from each other, as well as engage in fun and creative activities. In June 2017, the Incubator hosted the event “Behind the Scenes of a Fashion Powerhouse” with guest speakers from Macy’s and Tactical 5.11, who shared industry trends and expertise, as well as their own journeys to success. 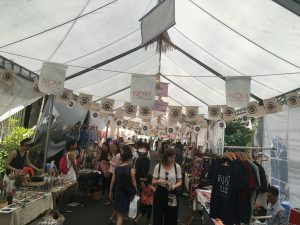 Recently, they have added events that promote both local fair trade handicraft sales, as well as connect local and international buyers to producers. Coaching – Coaching is Nomi Network’s Fashion Incubator’s newest initiative in 2017. They understand that sometimes their trainees and partners need more help than just the NIFT classes. 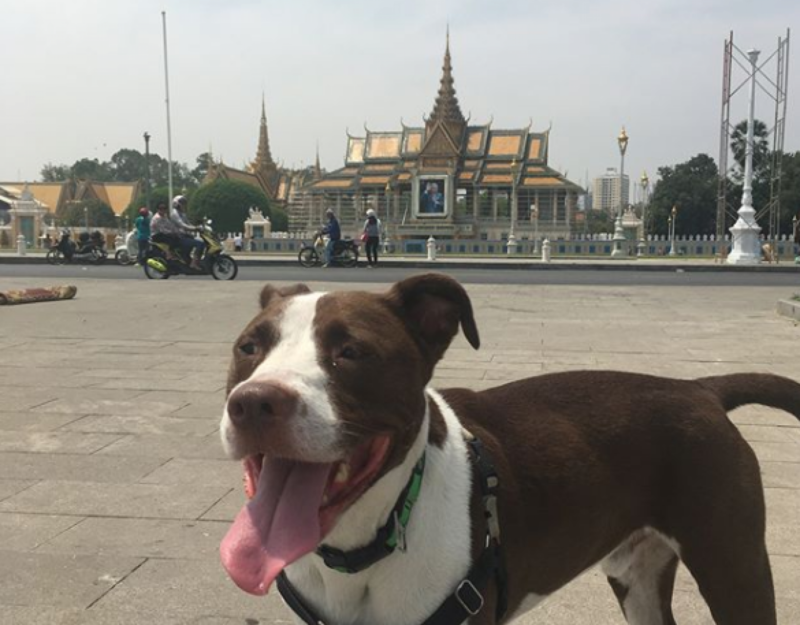 So their experienced trainers provide onsite visits and coaching with clear monitoring and evaluation process in place. Market Access – Nomi Network currently work with and purchase from nine organizations that have demonstrated capacity or improvement in their production capability for the international market. They work closely with each organization every season to develop new, updated, and marketable products for international buyers. During each development process, Nomi Network Fashion Incubator’s experienced merchandiser provides one-on-one market, business, pricing and quality control consultancy for each organization. This is one of the longest-standing services Nomi Network provides its partners, available since inception in 2009. Each year, they continue to expand and look for new organizations to be part of their production and supply chain network. Scholarship | Grant – Nomi Network Fashion Incubator offers various small grants and scholarships for both individuals and organizations within their network because they understand that in order for their producers to become sustainable and competitive in the market, they often require financial assistance to address their producers’ needs. These funds often go towards child care, staff training, capital improvement, and many other social issues which might not be covered by their current operational income. Partnerships and Capacity Building – Their advanced curriculum equips non-profits and social enterprises that have production capacity with key fashion manufacturing skill sets, some of which include product pricing, retail merchandising, trend forecasting, and product development. Nomi Networks specialty is providing one-on-one technical assistance, production assistance, and mentorship to local entrepreneurs that lead social enterprises which employ survivors and women at risk of human trafficking. 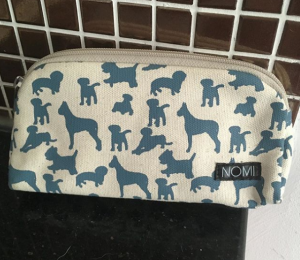 Nomi Network pup pencil case. As a result of their partnership, these enterprises develop and sell more products in the global marketplace, improve retail relationships, and grow their staff while improving their standards. Recently, those participating in their advanced training curriculum were surveyed by the Asian Development Bank and Nomi Network scored in the top tier for delivering impact. Through their programs, the following organizations have gained additional training and technical skills and/or the opportunity to co-produce products and receive distribution support. Are you into ethical fashion? What is your favorite brand / program and why?